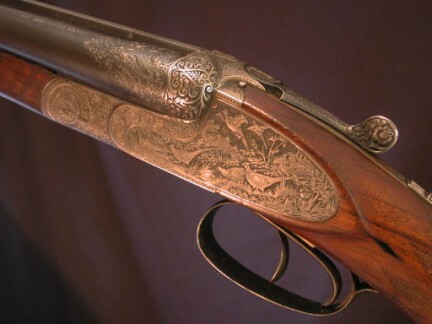 MERKEL, SUHL, Model 130, 20 bore, 2 3/4", c.1928, 26" choked IC/Full with lovely breach end engraving. 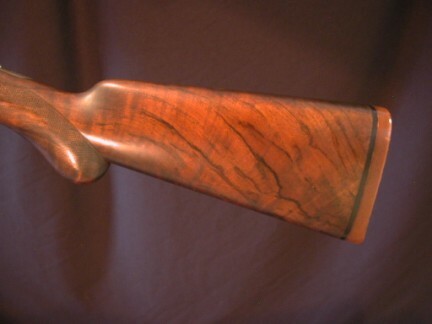 14 1/4" highly figured wood to Silvers style recoil pad. 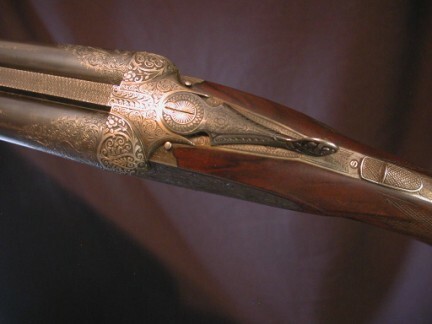 Half pistol with ebony inlaid drop point diamonds. 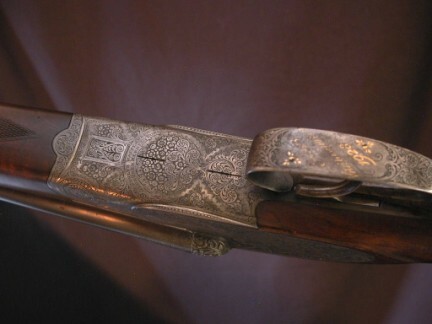 Top drawer Germanic engraving throughout, sideclips, cocking indicators, sideplates and hidden Greener style cross bolt. 5 1/4 lbs - a glorious whisper in the hands.